Dragonfly and damselfly larvae have mouthparts with a long lower lip (labium) which is folded underneath the head when not feeding and may look like a scoop or a mask (click here for an excellent photo of a dragonfly larva with “mask” from BugGuide.net). 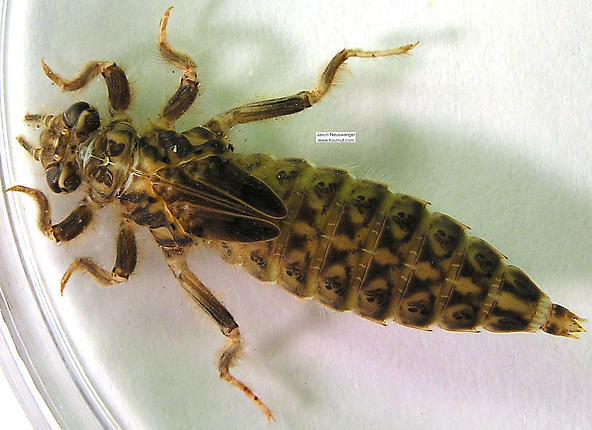 Damselfly larvae have 3 long gills at the tip of the abdomen. 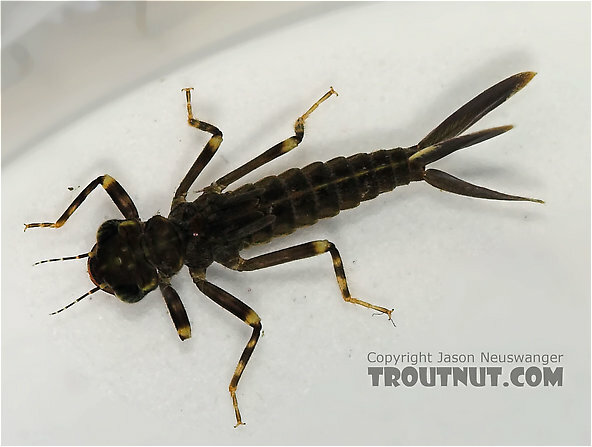 Dragonfly larvae look similar, but do not have 3 long gills. Click here to watch a YouTube video of a dragonfly emerging from the water and transforming into an adult.